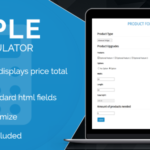 Simple Price Calculator is a WordPress plugin that can transform any html based form into a price calculation form. You can use it to provide instant price quotes or estimates on products and services for your visitors. A total with details can be displayed dynamically within your page. 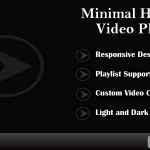 Minimal Video Player is a responsive, custom designed player that plays html5 videos for modern browsers. It also allows you to create a custom playlist that automatically switches videos when clicked on. Full service web development company specializing in custom WordPress design & development. We also offer a variety of other services from app development to website updates. © Copyright 2018 Premium Biz Themes. All rights reserved.